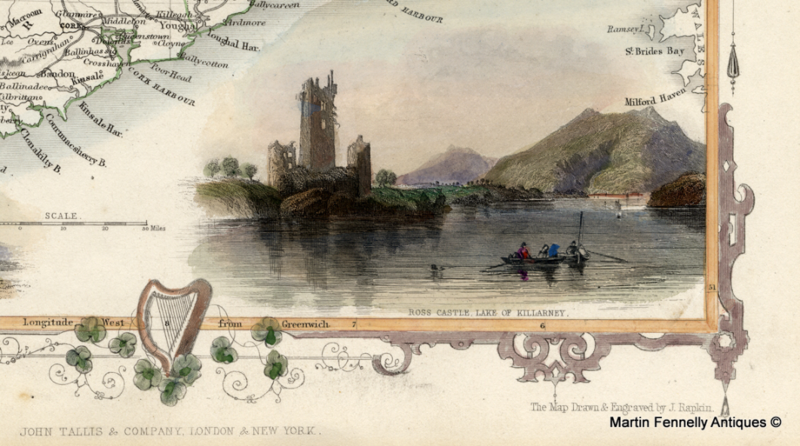 This Original Antique map of Ireland was published by Tallis of London in 1851. 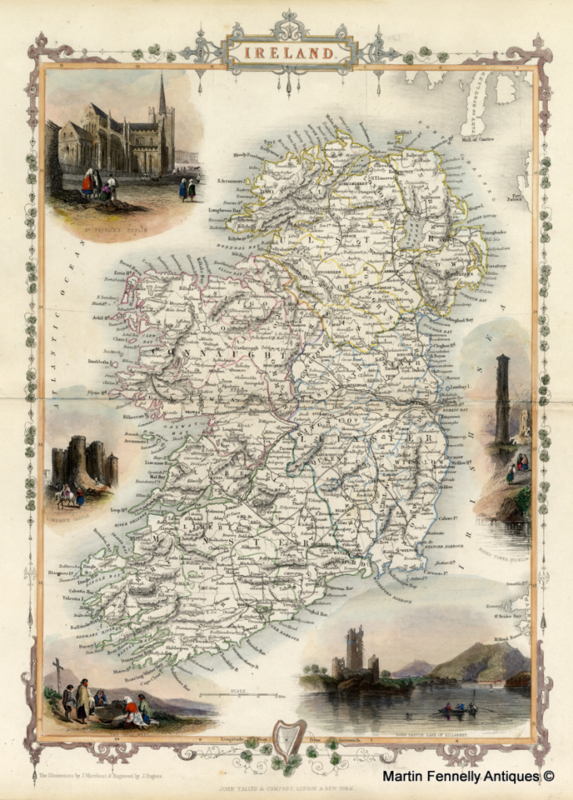 This authentic vintage map of Ireland is printed on handmade paper using engraved copper plates. The map itself is in good condition with excellent definition. The map was engraved by Rapkin and features Irish scenes tio include St. Patrick's Cathedral (Dublin), The Round Tower (Wicklow) and Limerick Castle. This old map does have some slight age toning but is one of the most beautiful maps of Ireland with very precise geographic references. A fine addition to any collection or a great gift.